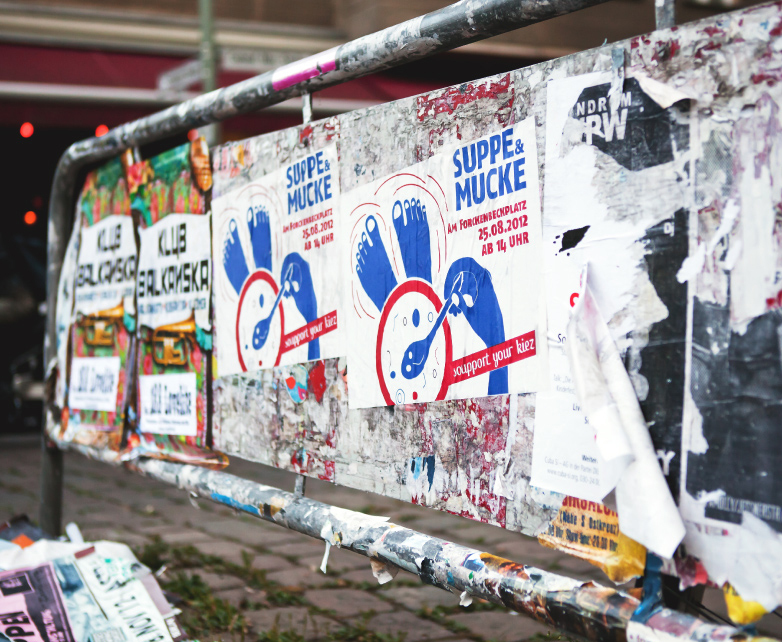 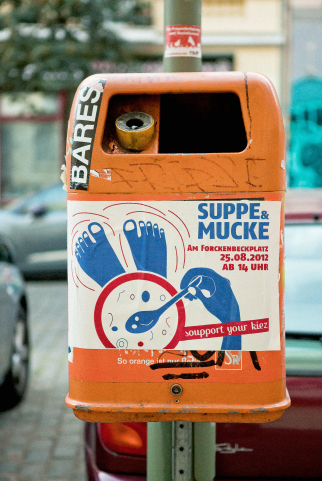 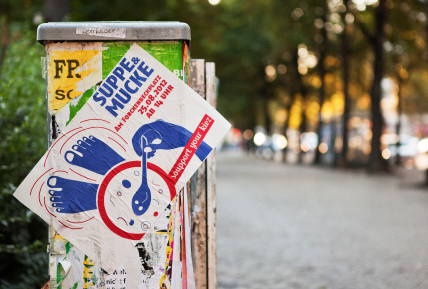 Suppe & Mucke is an alternative union for culture, art, education and civic involvement in Berlin. 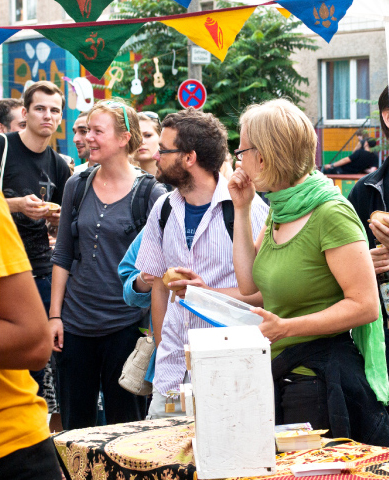 For the fourth time in 2012 they created the street fair "Suppe & Mucke" in the district Friedrichshain were you can eat soup and listen to music all day long. 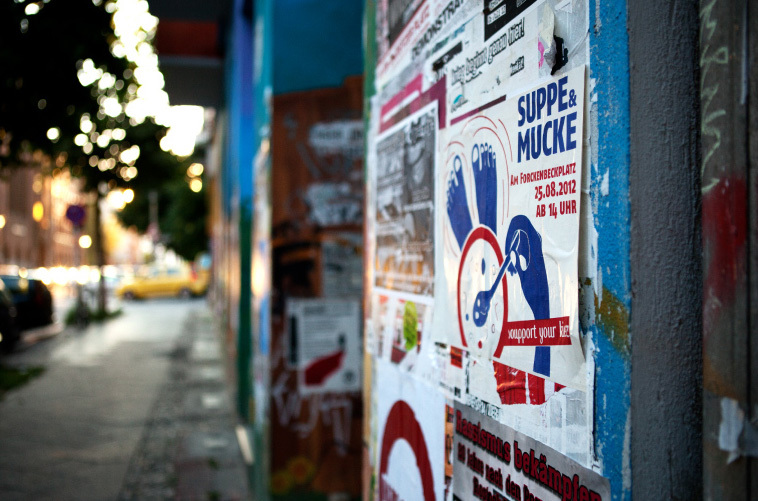 My poster were silk-screen printed by the nice people from the Suppe & Mucke union and spread through the district.